WOW THIS HOME PACKS A LOT OF PUNCH FOR ITS SIZE! 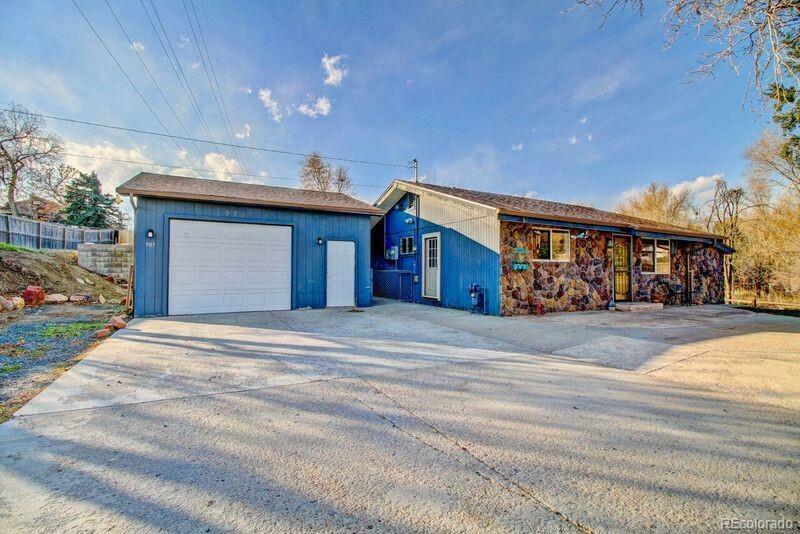 Come See This Completely Remodeled Ranch Home On Over A Quarter Of An Acre In Central Lakewood. This Bright And Sunny Charming Home Has Many Features That Will Captivate Your Buyer. Master Retreat Has A Beautiful Private Bathroom With Shower, Jacuzzi Bath And Walk-In Closet. The Open Floor Plan Has A Generous Size Living Room And Smart Updated Kitchen. Other Amazing Features are: Gas Stove, Solar Panels For Electric, Double Pane Newer Windows, Newer Roof And Private Fenced Yard With Lots Of Room For Barbecues, Basketball Games And Of Course The Family Dog. Other Great Reasons To Buy This Home Are, The Large Two Car HEATED Garage, Extra Parking Space For Other Vehicles And A Round-About In Front For Easy Ingress And Egress. All This Situated In A Convenient, Friendly Neighborhood Adjacent To SUNSET PARK. A Winner Of A Home For A Spectacular Price. See Attached Zoning: Limited Land Uses: Office, Home Business.